Time Billing Software is time billing and invoicing software for service industry professionals such as lawyers, engineers, accountants, programmers, and consultants. 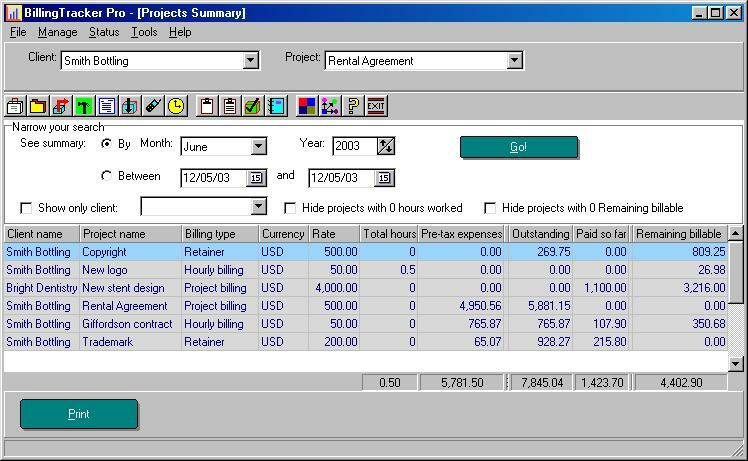 Anyone who bills time and projects, and demands ease of use will enjoy Billing Tracker. It allows hourly, project-rate, retainer, or even contingency billing, tracks outstanding client debts, has a built-in timer, and creates professional invoices to be printed or emailed.